First impression | How does something like this work? When does a car get a facelift? Who decides what will change? Which adjustments qualify under the terms of a "facelift" and when is the decision made to produce a completely new car? During a test drive with the face-lifted Vauxhall Vectra VXR Autozine asks a very special drivers mate: the Dutchman Patrick Arkenbosch, designer at Vauxhall and part responsible for the renewed Vectra. The acquaintance with Patrick as well as "his" Vectra is special. He and his colleagues have worked long and hard on the renewed Vectra and this is the first time that an outsider will drive the car. When handing over the key Patrick therefore immediately takes a step back to see our reaction to the car. The first reaction is to spot the differences. After all, a facelift means that the design of a car is not completely new, but that it has merely been adjusted. The Vectra now has the same appearance as the newest Vauxhalls. This means a sleek, sharp look, more expressive folds in the bodywork and more modern looking headlights. The latter have not only been newly designed, which is compulsory in the noble art of face-lifting, but they are also technically improved. From now on the headlights of the Vectra turn with the steering in a bend; a provision that has proven to be very useful with test vehicles of other makes. Inside the effect of the facelift is subtle. Again, it was the intention to adjust the car as much as possible to the style of the other Vauxhalls, but the difference to the previous Vectra is small. The first question to our guest therefore is: "how does one determine whether a car needs a facelift?". There appear to be two important factors. The fist is the competition. If the difference with other cars becomes too big, sales figures drop which makes rejuvenation necessary. 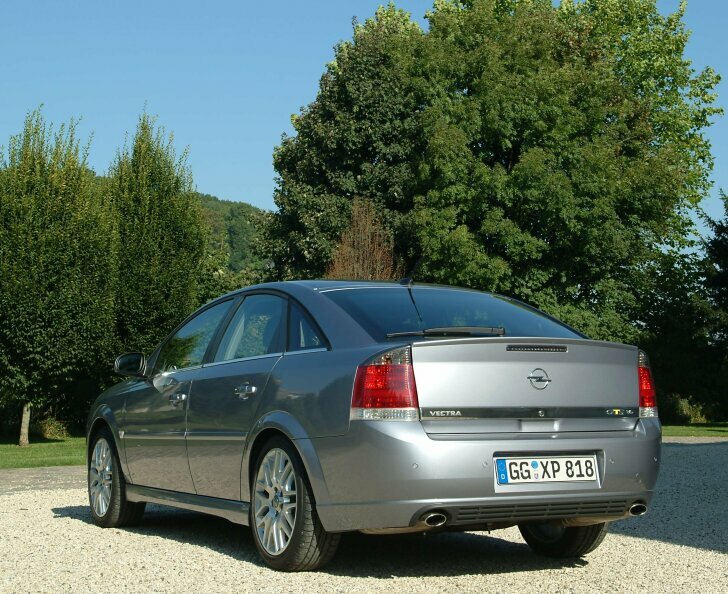 In the case of the Vectra however the decision to adjust the car was made to ensure that the Vectra has the same family feel as the other models. "Adjusting is a creative process", explains Patrick. The designers give suggestions, which then need to be realised by the constructors. For them it is not the looks but the price and effort it takes to construct the parts that are the deciding factor. In the end the choice is made for adjustments that are good for the car and at the same time can be realised without making the car unnecessarily expensive. 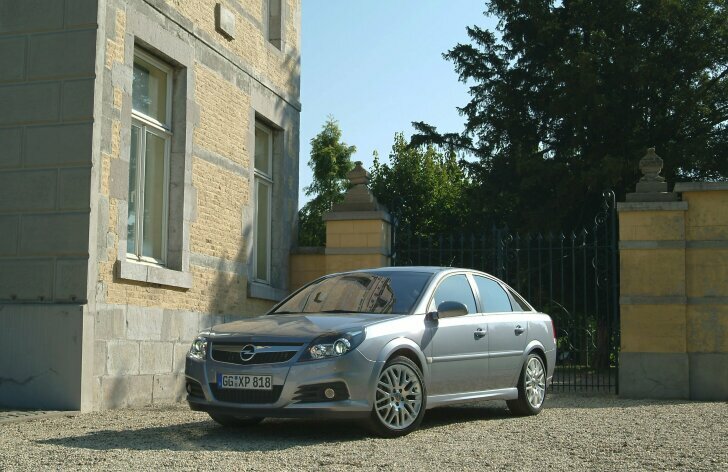 The Dutch contribution to the new Vectra is, among other things, a feeling of "warmth and comfort", in other words "old-fashioned Dutch coseyness". This is not easy to accomplish, if only for the fact that the Germans don't have a word for 'coseyness'. It is a hard word to translate into any language; cosiness probably comes closest. In the end the effect of this contribution is a dashboard that is still as smooth and sober as before but that has now been built more around the driver. When the photographer wants to record the new dashboard, Patrick prefers to have it done from the top to show these smooth lines. More importantly: if it were up to Patrick then a few close-ups of the door handles would be appropriate too because that had been his first project. Too bad, the picture of the dashboard was taken from the drivers seat and for the car salesman the door handles too are merely practical aids and no works of art. What has remained is the considerable space, in the front as well as in the back. In this considerable space Vauxhall has put considerable-sized seats that support comfortably the legs as well as the back well. "That's model P95", Patrick adds; a model that supports 95% of the drivers in an optimal way. Besides visible adjustments the Vectra also has invisible improvements. The options list now includes a Bluetooth phone (including voice recognition) and a stabiliser system for trailers. The audio systems are of the last generation too, which means that pretty much all of them are able to deal with mp3-files. The test vehicle is also equipped with a navigation system that performs well in practice. Part of the facelift is the adjusted 1.9-litre diesel engine that is now more powerful and yet more economical. For the test drive something much more exciting is on the list: a completely new designed 2.8-litre 6-cylinder engine. Although 2.8-litre is sufficient to produce quite a lot of power, Vauxhall did provide this engine with a turbo. Still, the engine "only" has 230 horsepower, something that many other manufacturers achieve out of much smaller engines. However, the choice for a Vauxhall is a grateful one: contrary to the smaller engines that have the same power, the Vauxhall-power source also offers an enormous flexibility, unprecedented tranquillity and an almost silent drive. The engine itself is so quiet that only the rev counter proves that the engine is running. When the accelerator is pushed there is a distant noise, while outside of the car a beautiful deep sound emerges from the double exhausts. With the "Sport"-button the driver determines the character of the VXR: power or flexibility. 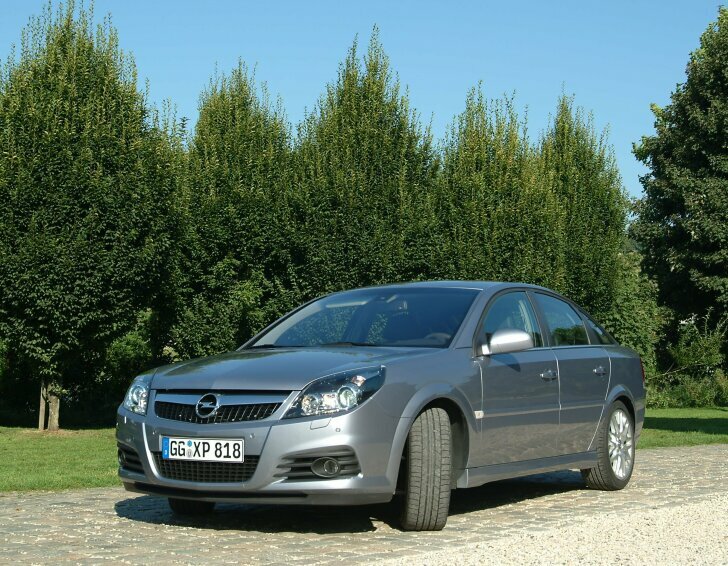 Normally the Vectra 2.8 is fast and extremely comfortable. The car covers long distances effortlessly and while chatting along the test driver and the highly honoured guest pass the Belgium-German border; a good opportunity to show its sporty character. With a push on the button the engine, the power steering and the chassis are ready. Now the car challenges us to investigate Vauxhall's claim that this is the fastest Vectra ever. The gears cover a wide range, because maximum acceleration from 80 mph requires changing down to third gear. However, the car is so fast that sixth gear is only necessary from 100 mph and even then the Vectra still accelerates eagerly. In short: the new engine makes true on all its promises. The steering too is adjusted with a push on the "Sport"-button but this feels rather forced. The reaction to the steering is always immediate but never particularly sharp. This Vectra VXR therefore always feels like a large car that needs the space. With fast cornering it is mostly the improved chassis that provides a better road holding then before. It does not make a sports car of the Vectra VXR but it does offer plenty of sporty driving pleasure. The Vauxhall Vectra VXR has always been the sportiest version of the Vecta and has become even sportier after its recent facelift. The performance of the completely new 2.8-litre 6-cylinder turbo engine is first-class. With a push on the button the car is either fast and comfortable or as quick as lightning and exciting. The renewed Vectra is now also available with modern tools like Bluetooth-telephone connection and an mp3-player. It is however of course the renewed look, with a Dutch touch, that has made a real success of the facelift.